Are you a home owner ready to place your home on the market? Then you may want to consider some ways you’ll be able to increase the value of the property. North End Pads has valuable resources to get you connected with contractors that can help renovate and remodel your home so you can get the best bang for your buck. Our network of contractors are experts in their field with many years of experience helping homeowners increase their bottom line before going to market. If you are already thinking about selling your home, it may be a good idea to start looking into options to bring you the healthiest return on investment. Speak to one of the expert real estate professionals found here to find ideas on how your home can turn into a dream property for potential buyers. Boston is well known to hold some of the most beautiful and antiquated homes in the country. Blueprints of recent properties have since changed and the idea of a quality home may be different than what it used to be years ago. Being in a city with higher living standards than most, it may be beneficial to find alternatives to increase usable square footage for the best financial outcomes. North End Pads is highly equipped with resources and tools to help bring the best possible upside to your property. Our network of agents and contractors are industry leading experts that have helped countless numbers of homeowners just like you. North End Pads maintains an extensive list of resources such as landlords, agents, contractors, properties, and much more. With years of experience in the Boston markets, the experts you meet will guide you through different plans and strategy for you to make a profitable move. Boston is a competitive market with an ever so growing number of properties. Make your home stand out and give potential buyers a reason to want your home. Speak to a North End Pads expert today and together we will pave the way for a successful renovation to your property! Find a Remodeler in the North End! 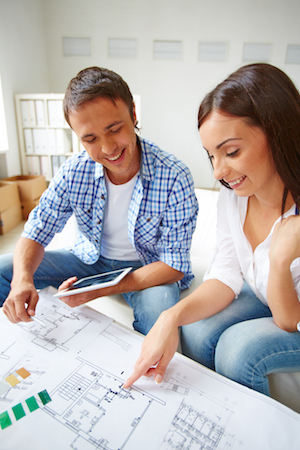 Tell us a little about your house, and we'll help you find the right contractor for the job.